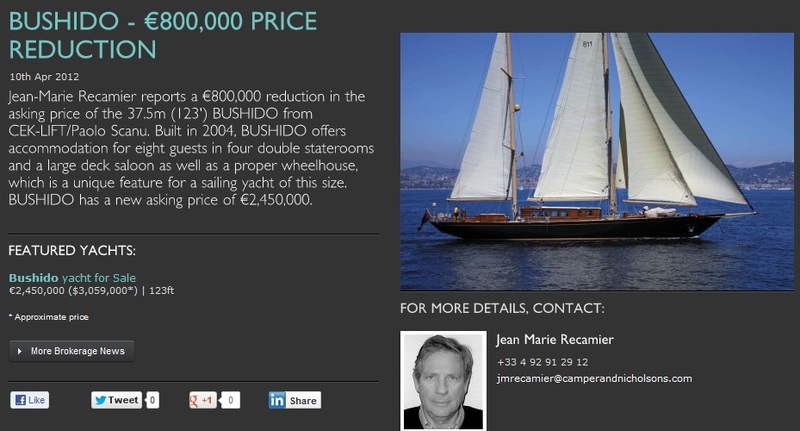 A quick search for “Bushido for sale” reveals that the very elegant teak-laden boat is not only for sale but has had a chunky 25% price drop too ! When the economic crisis has hit even those super rich Greeks who long ago got their cash out of the country then you know things are coming to a head . . . is this the first example of the economic crisis’ trickle-up effect?